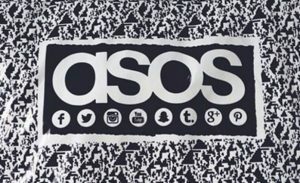 ASOS has just gone and done the one thing that we’ve been dreaming of since we first discovered the online shopping site. ASOS is letting you try before you buy. And yes, that means you can order whatever you want off the website and only pay for the things that you decide to keep. It’s literally the best thing that has happened to us all year – well, since they announced their same-day delivery service, anyway. Sorry, we just need to take a minute to calm down. Order whatever you want from the website. Whatever you want. And don’t pay a single penny. Have a huge trying on sesh at home and send whatever you don’t want back, within 30 days of purchase. You’ll be charged (no interest or fees) for everything you keep, and payment has to be received within the 30 days.